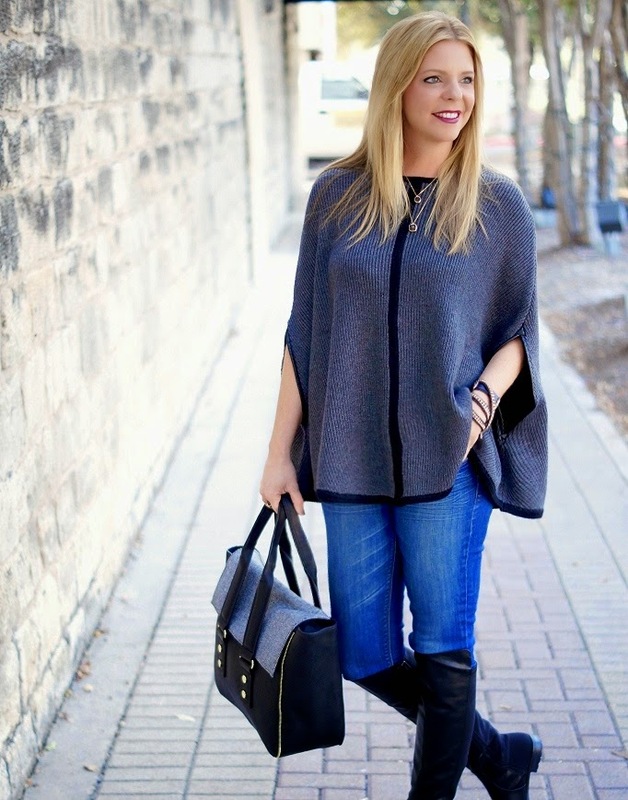 The weather actually cooled down a bit yesterday and I have had this ribbed knit cape waiting in the wings. It will also be a great piece as we glide into the winter season. I plan on wearing long sleeves under the cape and already envisioning stripes or a white button down paired with faux leather leggings. NOW UNTIL NOVEMBER 2nd, GET 20% OFF YOUR PURCHASE AT FOREVER 21. You know this made my week a little brighter. Use the code F21FRIEND at checkout. You're welcome. Below are 15 of my favorites. I promise they're worth the scroll! Since I am unable to layer many clothing items just yet, I decided to layer my Wrenn Jewelry necklaces to get my fix. 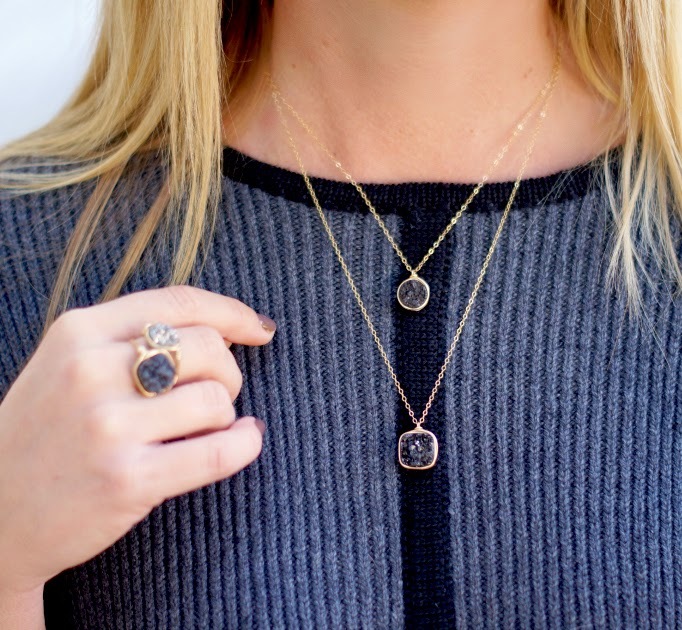 These are great holiday gift ideas for all the ladies in your life. I own about 20+ of her pieces and they are a mix and matcher's dream. Is matcher a word? Oh well, it is today. Alrighty ladies, as you can tell by reading I am all over the place. I have a million things to get done before 5:30's witching hour. Have so much fun tonight if you are celebrating Halloween and dressing up. I can't wait to see all the costumes. I will be stalking Instagram all night. Be safe! See you Monday. You definitely had a full schedule this week! Love this cape. It's beautiful and so versitile. That cape is the cutest! My week was pretty crazy too, I loooove that cape you look so chic. Have a great weekend lady xoxo. What a busy season of life we live in right now. Busy but no doubt fun! Thank you for the advice of remembering to breath the other day. It's the best advice I had gotten in a few weeks, and really helped! 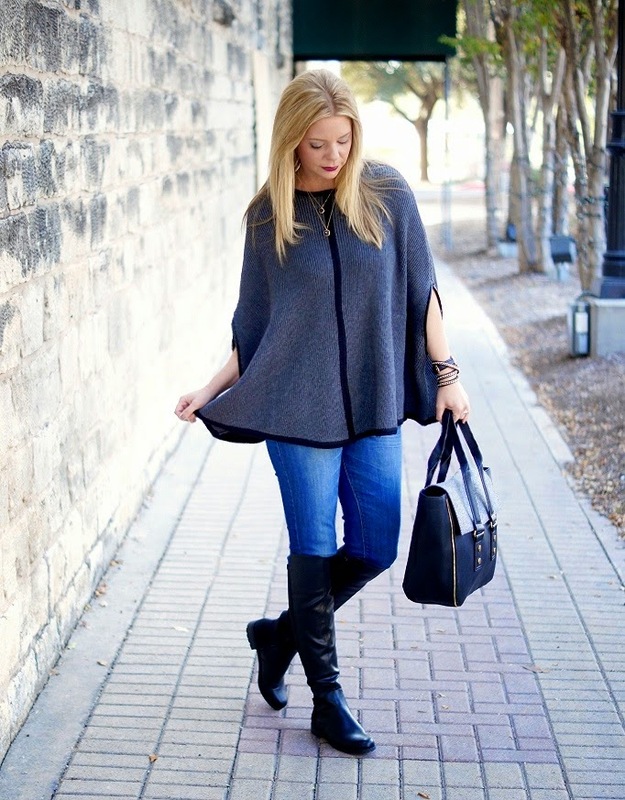 I love this cape, and I can't wait to see you layer it as the weather cools off. Happy Halloween! you are busy busy! i am so excited the weather cooled down! hoping it sticks around! Sometimes I can't believe the stuff you find at forever 21! You look so chic! You have been busy! Way to even add in a game of scrabble with your hubby! 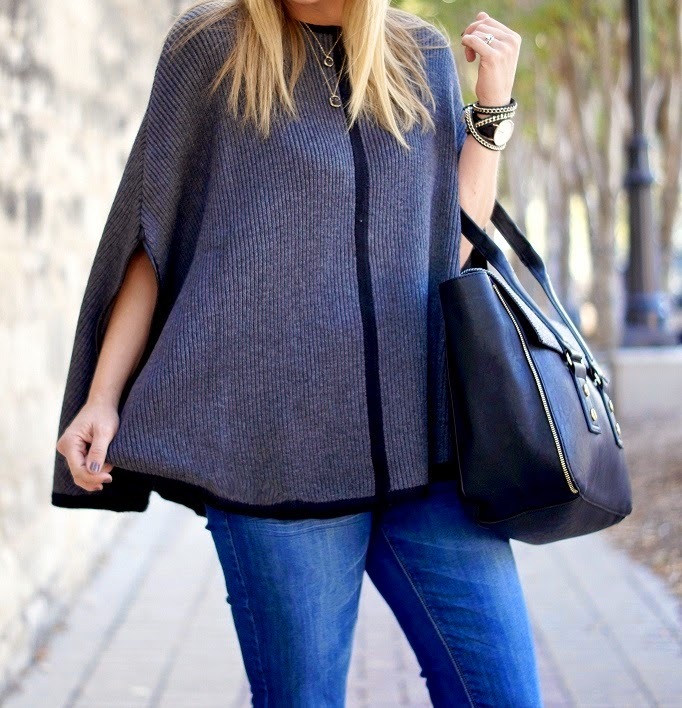 This cape is great on you and you're wearing it so well! Yay! I just bought this cape last night (along with a few other things). Can't wait to get it. Beautiful cape and accessories. 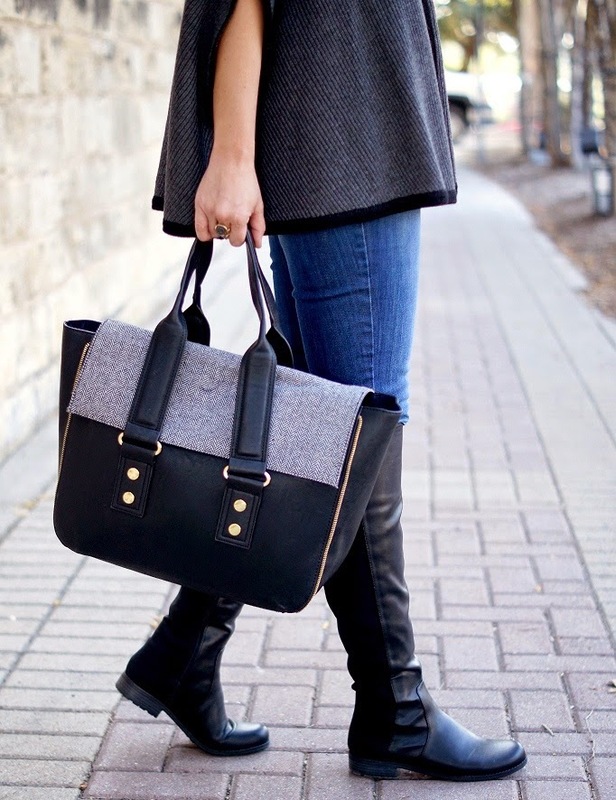 They look great paired with that stunning bag and over the knee boots! Happy Halloween! I'm OBSESSED with the outfit but in particular the necklaces :) so cute!! Happy Halloween! This week was a crazy one for us, too. I have loved it but I am looking forward to a relaxing Saturday and Sunday after the festivities tonight! I love your cape with the tall boots! I know what you mean, I feel like I'm running in many different directions too! Do I actually get things done? Not sure:) Have a great weekend! Love it all, but especially the jewelry and the tote- such unique pieces! In love with that cape, and I am sorry Shanna but I need to go to Forever 21 and see if I can find one LOL. You look amazing as usual. Those boots are ahhhmazing!!! I can't believe they are on sale for $62.99!!!! I am not supposed to be spending any more money but I am having such a hard time saying no to those beauties! I absolutely love how you've styled them with that great cape. You look so fabulous! Have a Happy Halloween and a wonderful weekend chica! I love everything about this outfit - 1) that cape looks like I can take a nap in it, which I completely adore, 2) those jewels! those jewels! they go so perfectly! 3) Happy Halloween!!! I love your outfit - navy suits you perfectly. That cape is so chic on you! Can't wait to see the other ways you'll style it! CAn I steal ur tote! So chic!! I agree, being busy keeps us out of trouble..LOL! Mili has her week off from school and we are constantly having 'what should I do now' conversation!! Hope you are having a wonderful day! CUTE CUTE CUTE! I've been contemplating this cape forEVER. We also finally got the Fall memo so I not only wore a sweater...but a cardigan over it! Ha ha! I'm so happy we finally got through last week...it was madness! Now for the holiday season to REALLY begin. LOL! I LOVE this cape! I just bought a similar one from Old Navy, but it has a turtleneck. Yours is so fun! That cape! Love! It sounds like all that go-go-going made you sick :( I hope you're feeling better now!